Trial access ends 16th November 2017. 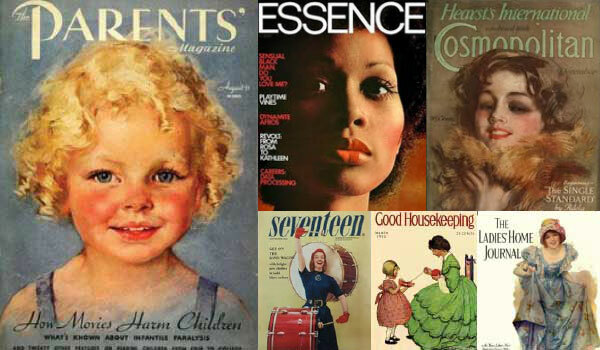 Archival issues of consumer magazines aimed at a female readership have previously been difficult to locate and navigate. So getting hold of these useful primary sources for 19th and 20th-century history and culture has been problematic for researchers. Women’s Magazine Archive I and II provide access to the archives of some of the foremost titles of this type. The magazines are all scanned from cover to cover in high-resolution color, ensuring that the original print artefacts are faithfully reproduced and that valuable non-article items, such as advertisements, are included. Please note that neither collection are complete as of yet. Archive issues are still being digitised so the full archive run of some titles is not available. Access Women’s Magazine Archive via e-resources trials. Access is available until 16th November 2017. You can access magazine and periodical archives that the Library already has access to e.g. The Vogue Archive (U.S. edition), British Periodicals I and II, Country Life Archive, American Periodicals, etc., via the Newspaper and Magazine database list. This entry was posted in Library, Online resource, Trial and tagged 19th century, 20th century, archives, cultural history, Databases, gender studies, History, magazines, primary source, social history by cstirling. Bookmark the permalink.